"We refaced our kitchen cabinets with maple louvered cabinet doors, and it has brought back the beachside charm of our period home." 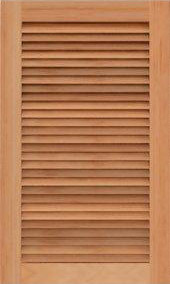 Estate Millwork manufactures custom crafted solid or louvered cabinets and doors from premium hardwoods. 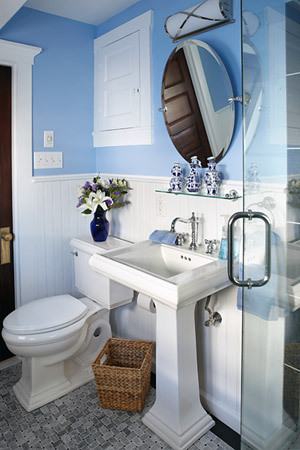 Our hand made solid wood cabinets can be integrated into existing kitchens, bathrooms or studies. We fabricate beautiful louvered cabinet doors as well as raised panel and mullioned products that can be used to reface existing casework and cabinetry, or in a variety of other applications. 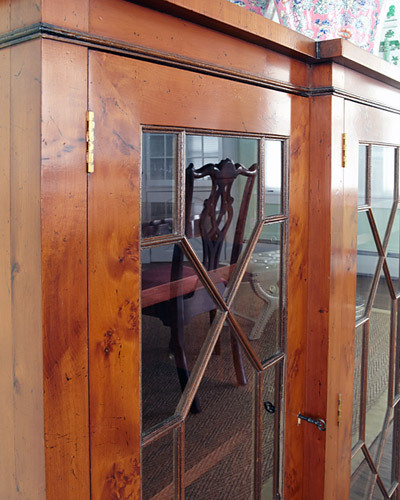 Featuring traditional 18th Century rail and stile construction, solid floating panels and mortise and tenon joinery, these cabinet doors are of collector furniture quality. 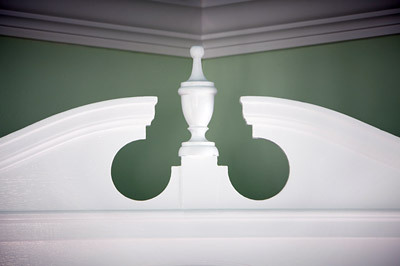 We can fabricate any custom cabinet door to your custom designs, and can provide unique old world details including inlays, applied mouldings, beveling and radius work. Specify bookmatching, crotch grains or quarter sawing to capture the true elegant potential of custom cabinetry. We offer both paint grade and stain grade cabinets and cabinet doors in a variety of hardwoods and can work from our standard elegant designs, or your architectural drawings and sketches.